By creating relevant and helpful content such as blogs, ebooks, or videos that help to identify, educate, and potentially solve problems your prospective clients are experiencing. By making yourself a reliable source of information, providing ongoing value, acting as an empathetic advisor, and giving expert advice, you win their trust—and more importantly, their business. When you begin inbound marketing with New Perspective based inWorcester, MA, your content will get that much-needed boost to allow your brand to connect on a meaningful level with your audience. You’ll soon be able to drive the right visitors to your website using techniques that not only convert prospects, but also turn them into loyal advocates of your brand. 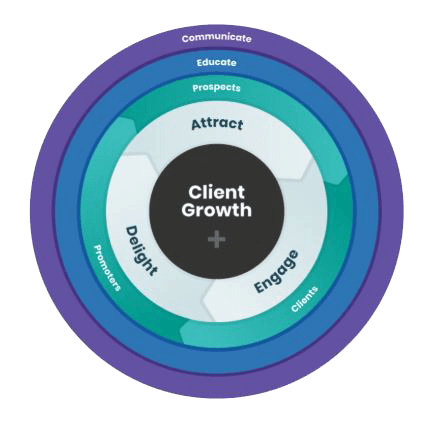 As a growth agency, inbound marketing is at New Perspective’s core. We create laser-focused content that meets your prospects wherever they are in the buying cycle. The best part about inbound marketing? It’s cost-effective. It works double time to promote your business and spike your conversion rates without burning a hole in your marketing budget. Every agency completes interviews, audits website traffic, develops a plan, and monitors for success. Every clever designer delivers beautiful graphics and engaging photos. Where we depart from the rest of the pack is our dedication to individualized solutions that are built around your company’s growth. You’ll get more than just a pretty face for your digital marketing; you’ll get real dollars. At New Perspective, we emphasize strategy and process before tactics. We believe that there is no one size fits all answer to digital marketing; the tactics you use must be grounded in research about your buyers, your goals, and your company. When you approach digital marketing with a strategy tailored to your business, you’ll see measurable results. The best part? Everything is backed up by data, so you can see what’s working and adapt your digital strategy accordingly. If you’re an existing HubSpot customer, we can work with your existing instance to re-align tactical execution with your larger business goals. Check out our HubSpot kickstarter package for more information. 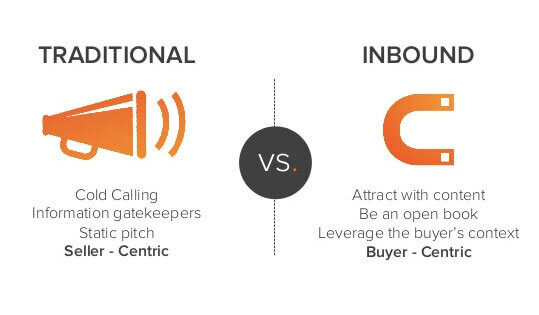 Inbound marketing goes beyond simply attracting and engaging your audience: it builds your prospects’ trust and confidence in your brand. Consumers know what they want these days; they want to be educated, not just sold to. It drives quality website traffic. 63% of businesses name lead generation as their top marketing roadblock. 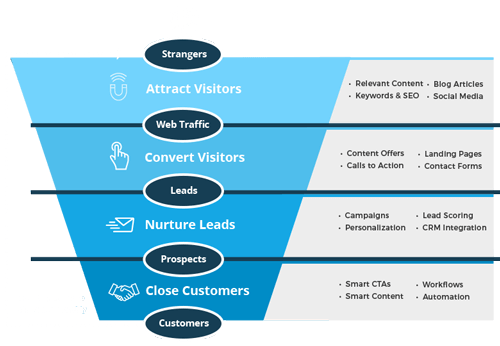 Inbound marketing drives qualified, already-interested leads to your website, maximizing your conversion potential. It delivers ROI. When you’re using techniques that can’t be accurately tracked, figuring out which ones work—and which ones don’t—can be a challenge. Effective inbound strategies are data-driven, allowing us to demonstrate exactly how content is driving your business’ growth. It grows with you. As you roll out new offerings and expand into new markets, you can tweak your inbound strategy to better serve your business. 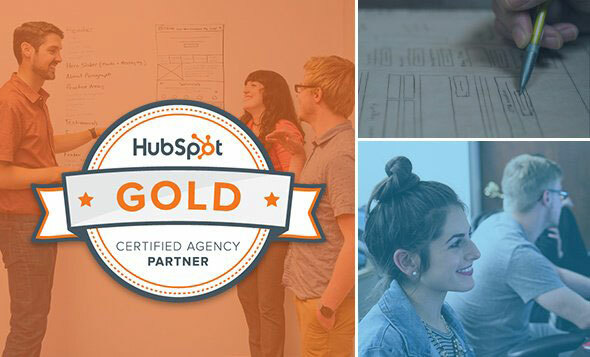 New Perspective is a Gold-Certified Partner of HubSpot, a globally-recognized inbound marketing platform and sales software provider. You can count on our inbound marketing experts based in MA to help you build a lasting image as a reliable and trustworthy brand. When you partner with us for your inbound marketing activities, you reap the benefits of our working relationship with HubSpot and all the wisdom we’ve acquired from it. You’ll stay on top of the innovations on the inbound front. You’ll also have access to HubSpot’s powerhouse platform, allowing you to re-align your current techniques to meet larger business goals, optimize your entire inbound strategy, and achieve the results you’re looking for.